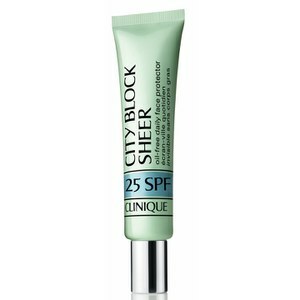 Shield skin from environmental aggressors with the Super City Block SPF40 from Clinique. With a sheer, weightless formula, the daily moisturiser delivers broad spectrum sun protection against harmful UVA and UVB rays to leave skin soft, smooth and healthy-looking. Infused with antioxidants, the City Block is suitable for all skin types, including the most sensitive and can be worn alone or as a make-up primer for a flawless complexion. E.N. 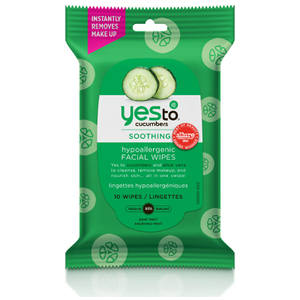 Apply to clean skin using fingertips. Apply to cheeks, forehead, nose and chin, then blend. Apply after all treatment products and before make-up. Having used this product whilst going through early menopause I can say I've tried this on the varied skin types, all my own. I was combination skin prior to menopause and I found this very hydrating and whilst on the dewier side it never made me over oily. 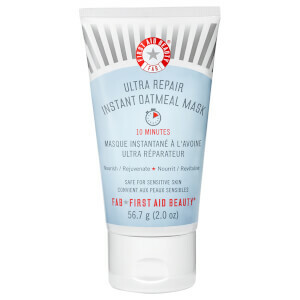 Of late my skin is on the normal/drier side and this hasn't failed to deliver. It's perfect alone if you're in a rush, evens out skin tone and adds a glow. It's also a fantastic primer. Leave to settle for a few minutes and you have the perfect protected base for makeup. It's one item I buy over and over. SPF 25 in winter and SPF 40 in summer. I don't find the tint leaves any colour once settled, as said just your skin looking healthy! This product has been around for years and no surprise why - it's SUPERB. 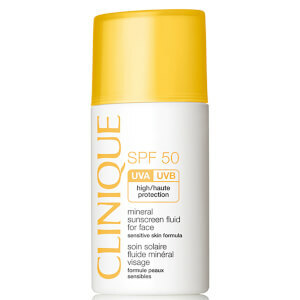 High protection sunscreen that also acts as a great primer as it sits beautifully under makeup. Plus, because it's tinted, I need less foundation. As a bonus, it doesn't aggravate my sensitive, watery eyes either! If you have normal, combination or oily skin, look no further; if you have dry or dehydrated skin (combination skin can still be dehydrated), look elsewhere. I have combination skin which means that my T zone becomes very oily while the rest of my face is normal. This cream dries out my skin something awful. I even tried using a moisturizer before applying it and still it dried the skin around my nose. Because it is tinted it settles into and dries out every line on my face, settles terribly into eyebrows, too. I have tried many sun creams tinted and not and this has to be the worst I have ever tried and really regret wasting my money on it. I am so disappointed in Clinique. Fantastic would advise anyone to buy this product, especially for combination skins, keeps my t zone, dry for hours. Great - I've no idea how it fares in the sun, but it sits underneath my foundation nicely and helps it spread evenly to give me a healthy glow. I found this really good for the price especially from Clinique. Everything it says is true and hasn't (really) irritated my super sensitive eyes along with sensitive skin. Leaves an amazing matte finish and really is a great primer, I have oily combination and haven't found this to increase any sheen throughout the day so I definitely would recommend this to oily skin types. However I have found certain areas to be a bit flakey but Im not sure if this is the weather or this product-this product contains alcohol so I don't recommend it for dry skin types. Leaves a very plumped glow and dries in very fast. This isn't exactly sheer for very pale skins like myself so you can't just rub it on in a hurry you have to make sure its spread fairly evenly , so if your very pale i wouldn't recommend this if you don't intend on wearing it under makeup every day.